Today I’m presenting my first non-food recipe. Actually, that’s a lie. It’s made of food. But it wouldn’t taste very good. Not in these proportions, anyway. It does however happen to be a quick and awesome thing you can make for Mother’s Day. A squatter jar would be better. I went to a baby shower today (my first!) and wanted to bring a gift for the mommy as well as the impending tiny human. I was thinking something along the lines of a nice scrub or bubble bath, but didn’t really like anything I found in any stores. 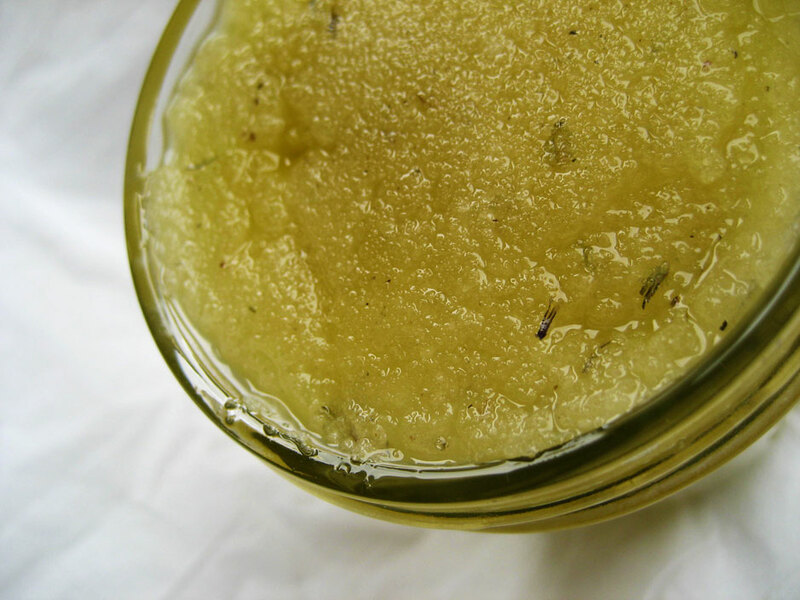 I decided to look into making my own sugar scrub, which was the perfect idea! Crush the lavender into a semi-fine powder in a mortar & pestle. Combine all ingredients in a medium bowl and mix into a paste. Store in a nice glass or plastic container. Apply to skin (not face) while in the tub. (Be careful if you’re standing, the oil will make the floor slippery for a brief period.) Gently exfoliate, then wash off with soap. This is a great gift for a new mom (I hope!) because the sugar feels nice and does a good job exfoliating and invigorating. The oil and honey act as moisturizers – I tried some (not all of it fit in the jar) and my legs still feel like I put lotion on them this morning. So it does two jobs in one and the lavender is all nice and calming. I’m sure lots of moms would appreciate this, though. What a great idea! 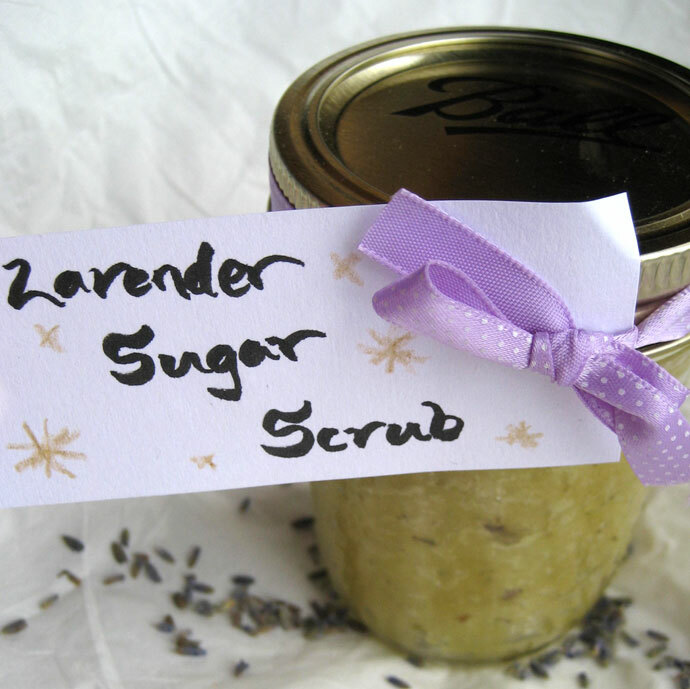 I’m obsessed with sugar and salt scrubs as I love smooth skin and have always bought them but this sounds like a much more economical alternative that would be just as great! where do you get lavendar from?